Looking for a fun place to visit using our Charter Bus in PA? 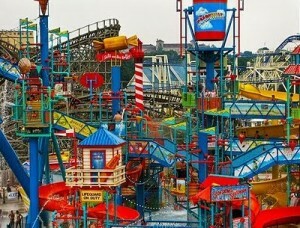 Some of the world’s most amazing rides, attractions and live shows – you will find all these at Hershey Park. This amusement park features irresistible roller coasters and Hersey Park has so much to offer plenty of weaves, turns and circles rides are all there to keep you smiling and shouting throughout the day with all your near and dearest ones. Located at Hershey, Derry Township, Pennsylvania, this family theme park offers more than 60 rides and attractions to explore. Take our charter bus and enjoy a fun day with all your friends. 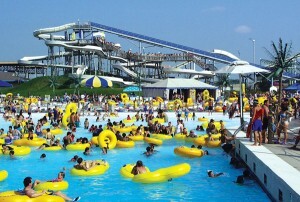 Plan a trip to Hershey Park when you want to get wild and have loads of fun. Apart from top-rated rides, you can enjoy countless live shows, wonder performances, dolphin shows and lots more. All in all, entertainment will be non-stop when you choose our charter bus packages to Hershey Park. One prime attraction of this amusement park is Hershey’s chocolate world, a hub of the Hershey Foods Corporation especially for visitors. This will be an amazing experience to learn and see how chocolate is prepared. Even you can get a chocolate with your your own personal custom design. Enjoy a trip to Hershey Park with our world class charter bus transportation service. We Charter Everything can make your trip to this amusement park truly exciting, relaxing and lavish with world-class charter bus transportation services. Whether you are planning for one day trip or want to stay at PA Pennsylvania for a few days, we can make every possible arrangement as per your expectations, budget and specific requirements. We have a long array of top-notch and luxuriously equipped charter buses, mini buses and party buses to cater to every expectation of our guests. With an attention to make a trip even more exciting, we provide lots of special amenities with our vehicles such as CD/DVD players, plush seats, tinted windows, music stereo, TV with satellite connection and lots more. Every model of mini bus or coach we offer is all equipped with different amenities. We have vehicles for all group sizes including small, medium and large groups. When you have decided a date for your trip to Hershey Park, call us to make special charter bus arrangements. We not only provide you with luxurious transportation but also help you in buying park tickets which includes rides, attraction and live shows that’s optional. We have served a lot of travelers with special offers at discount rates and maintained good relation with various famous restaurants, hotels and resorts. So, we can help assist our clients to reserve accommodation and table for dinner or lunch in famous restaurants in Pennsylvania. Give us a call we will be happy to assist you with your next Hershey Park bus ride. Call us today to know more about our services and special packages for Hershey Park, Pennsylvania. Let us handle all the travel hassles of your trip and you can just sit back and get ready for fun-filled trip of Hershey Park. Explore the fun of outstanding rides, attractions and chocolate creation with our deluxe means of bus transportation.